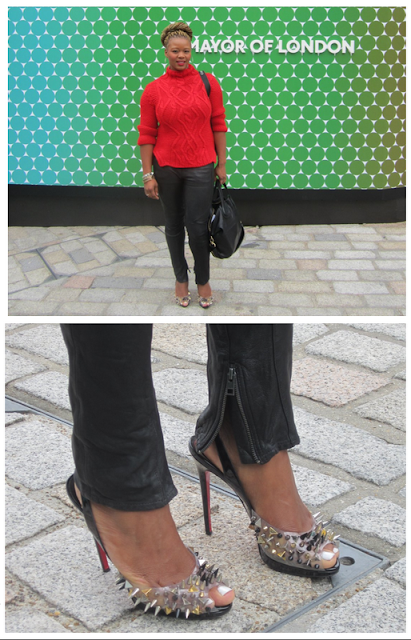 I attended Day 5 of London Fashion Week at Somerset House. I wasn't invited to any shows per-say; I simply went to get a feel of the atmosphere - inspiration from others and mingle with photographers, fashionistas and bloggers. Here you see me sporting my new comfy Isabel Marant Zara inspired wedge sneakers. Love them dearly and were a favourite amongst the photographers. I met Claire Sulmers editor-in-chief of Fashion Bomb Daily Love her blog. I check it daily. Good for fashion inspiration and news. It's fab!! U look great as usual dear,I lovee! @joandy: Thank you sweetie.. I wanted a low back look yet also chic.. Hence why i added the sneakers. Defo purchase these wedge sneakers before the sell out..
@Sharon: So sweet of you. Thank you always!! Love this look very fun! Very fun, love how the kick look with your skirt. Perfecto!